Celes is one of my all-time favorite FF characters. Nicely done! Simply coloured, but that's effective for the piece. 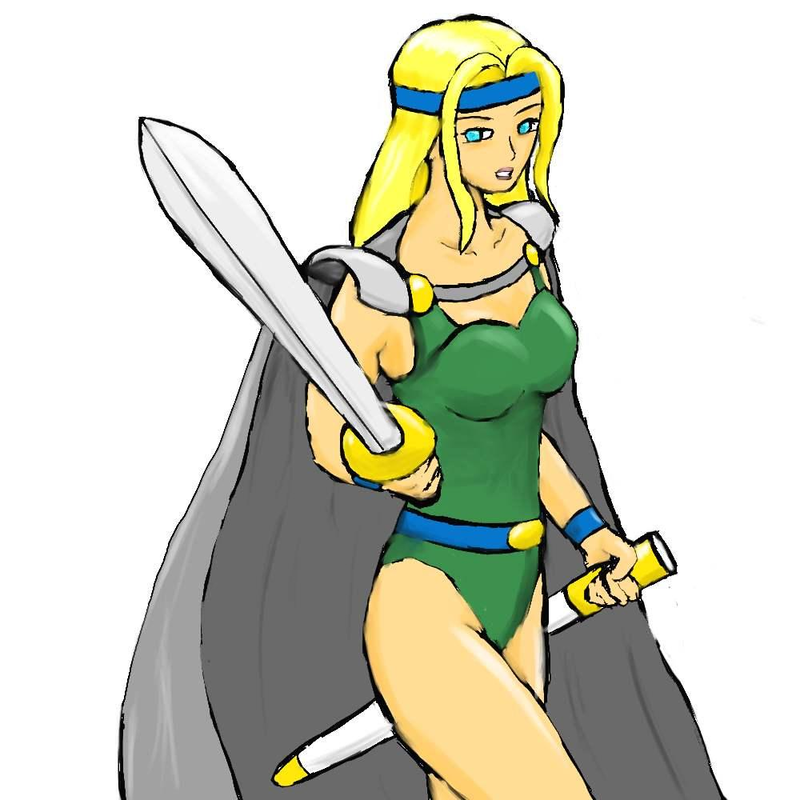 The foreshortening on the sword turned out nicely too! I always have a hard time with that sorta' business heh heh. Proportion wise, things seem to be fairly in order, if she is little too broad up top - doesn't quite match up with her hips and such. But maybe it's the shoulder pads throwing me...? Perhaps. Still, I think the head's a little too big, but heck, many people make that small error all the time. Perspective's a bugger... Great work on this one, ElPanachino! Hope to see more from you!